We have been prompted to produce a Development Plan by ColaLife progressing to the second stage of the Buckminster Fuller Challenge – we are one of 35 from 215 entries. This plan builds on a Business Plan that has been under development for some time! Here is the Executive summary. Copies of the full development plan have been circulated to our steering committee and are available on request. Please see the PRESS page for contact details. This plan describes how ColaLife will move to the next phase of its development. ColaLife started as a campaign and has been so successful that there is now a real opportunity to actually implement trials of the ColaLife idea while continuing with campaigning activity. ColaLife wants Coca-Cola – and eventually a range of other commercial operators – to open up their distribution channels in developing countries to carry ‘social products’ such as oral rehydration salts, high-dose vitamin A, water purification tablets, or whatever else is required in a particular locality to save lives, particularly children’s lives. At the core of the ColaLife concept is a wedge-shaped container that fits in the unused space between the necks of crated bottles. If proved successful, this could be replicated across the whole of Africa. 80% of the Coca-Cola produced in Africa is distributed in bottles and crates of the same type and size. This core component of the system is embedded in locally determined adaptations. Local organisations, with the long term responsibility for public health, determine what social products are carried in the AidPods. 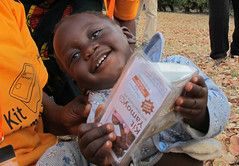 The same local organisations determine how the AidPods and their contents are managed when they reach their destination. For example, they may be sold (depending on the type of social product); they may be given away as part of health campaign or they may be collected and distributed by a community health worker or clinic. We believe that the person who carries the Coca-Cola the ‘last mile’ should be paid for this and we are investigating mobile phone-based systems to achieve this and to monitor supply levels. 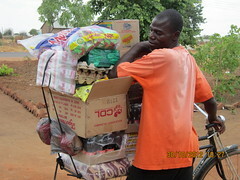 The volunteer and pro bono support that ColaLife has received from May 2008 to date (November 2009) is valued at £90,000. Over the next three years we need to raise £385,750 to implement this plan and generate volunteer and pro bono support to the value of £28,000 per year. During the next three years ColaLife will assess its need to exist into 2013. It may be that by this time the ColaLife is embedded and self-sustaining. However, there may be a role for ColaLife bringing together other cross-sector partnerships to innovate to solve other challenges. Copies of the full development plan are available on request. Please see the PRESS page for contact details. 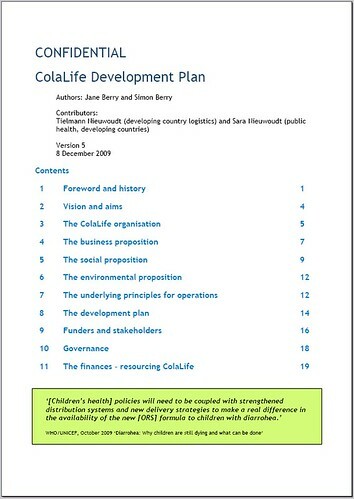 RT @colalife: Executive Summary of the ColaLife Development Plan published. What do you think? https://bit.ly/4nT5HP Have we got it right?